Professional & Experienced Web Designers Emoniks LLC is a U.S. company and has been in the web design business since 2014. Your website will be designed by one of our Professional & Experienced Web Designers, who will do their best to deliver you the aesthetically pleasing website you deserve and at a cost you can afford. When you choose Emoniks as your web design company you get a partner for your online success. The website is owned by Emoniks LLC. until the client has been with us for the period of 1 year, after this period of time has expired then the ownership of the website is the clients. 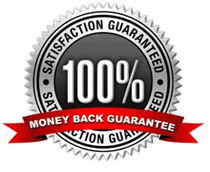 If the client wishes to transfer the website to another hosting company prior to the afore mentioned term of 1 year there is a $200.00 transfer fee. When the 1 year is up, it is up to the client to request a backup of the website files.